that helped me a ton with my new blog design. So, you all know Kevin & Amanda, right? They have all those amazing and FREE fonts! 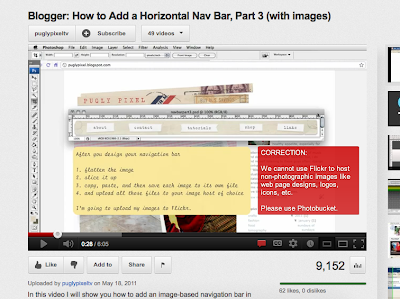 for a tutorial on how to design your own blog layout. photoshop and then install it. a million times to get it right, but that's just me! fancy nav bars at the top. I wanted something prettier and I came across this video. I hope these help you create/update your blog look! Thanks! 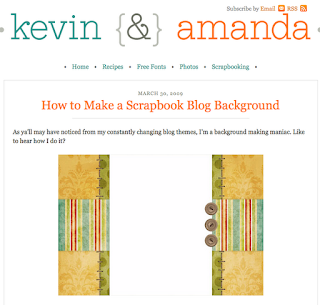 I have also been using Kevin & Amanda's blog tutorial, however for some reason I cannot get the blog design I made to fit. It is always small when I look at the preview. Thank you for this. I spent so many hours going through tutorials when I started my blog! I am creating a classroom blog for parents and students this summer and this is a great start!! I have been thinking about changing my blog too! Thanks for the tips!! I hope you are staying cool in this hot Kansas weather!! I just found your blog & I am so glad I did, it's lovely :) I am your newest follower! I have been wanting to know how to do that...one step at a time for sure :) Your blog is super cute!